Here are three kitties longing for a forever home. Cleocatra is an independent, friendly lady cat who would benefit from a quiet, rural home where she can be the centre of attention. She does enjoy fuss but prefers to choose when to interact with you. Cleocatra loves to explore the outside world and enjoys chasing string and playing fetch with toy balls. Cleocatra is at the Heydon centre. 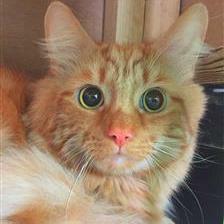 Garfield and (his brother Tigger) are at the Godmanchester centre . They are a little shy of their new surroundings at the moment, though they do both like to play with string toys and enjoy little fusses. 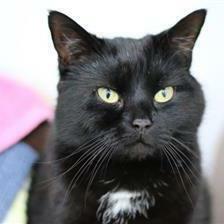 A quiet home with a little garden would be ideal for them to enjoy pottering around in. View their profile to find out more about them. 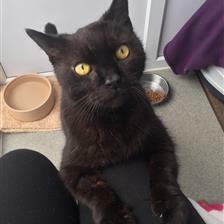 Rolley is a very friendly boy and he is looking for his new forever home. He absolutely loves snoozing on your lap and also likes a cat-nap on the bed or anywhere nice and cozy. Rolley also likes going outside, sunbathing and exploring a bit. If you are after a very affectionate, loyal companion, click on his profile here. Cleocatra - what an awesome name! Such sweeties , I hope they get forever homes soon. All kitties look so sweet. I hope they find the perfect homes! Purrs and prayers that all find forever homes soon. We'll share!